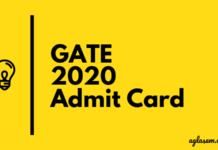 GATE COAP 2019 Registration has been started on March 20, 2019. The aspirants can register for COAP 2019 by online mode only. 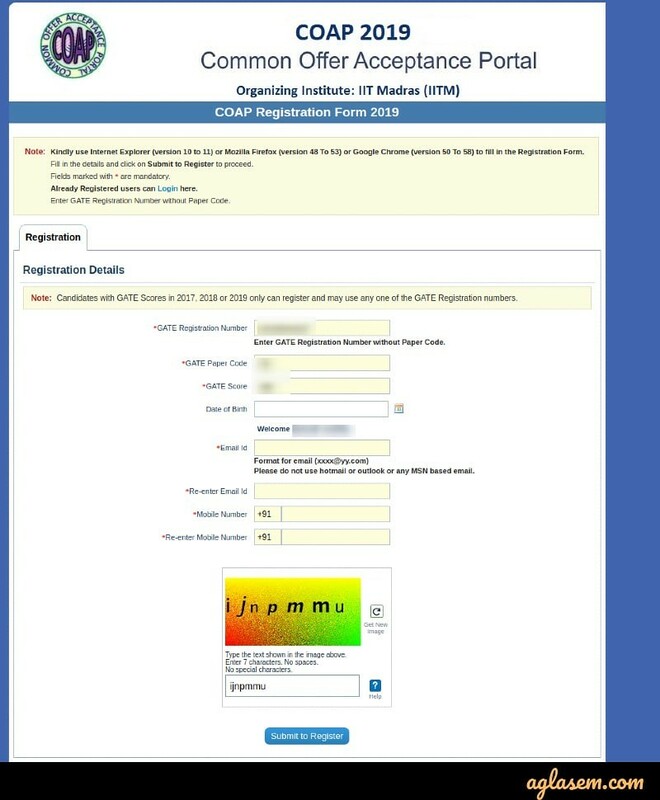 The online registration for GATE COAP 2019 has been started by IIT Madras on the website, coap.iitm.ac.in or through the direct link below. Remember that candidates with GATE Scores in 2017, 2018 or 2019 only can register and may use any one of the GATE Registration numbers to register for COAP 2019. The aspirants must complete the GATE COAP Registration 2019 before the last date. 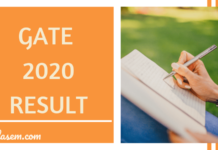 Check more details on GATE COAP 2019 Registration from this page. 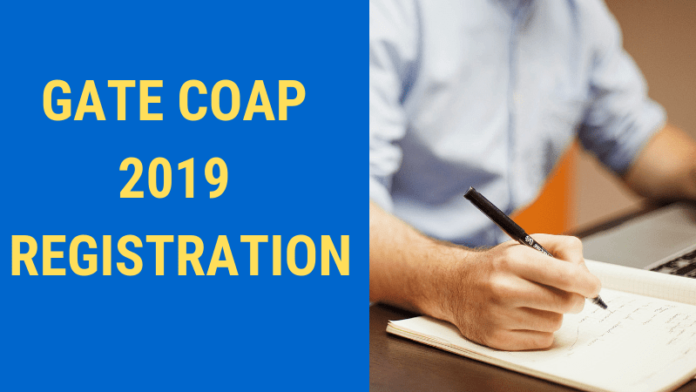 Latest: COAP 2019 Registration started. Apply using the link below. Register Here: Click Here to register for GATE COAP 2019. There is no registration fee to be paid for COAP 2019. The COAP Registration is free of cost for all category candidates. It is advised to the candidates to keep the following list of documents ready for COAP 2019 Registration. How to Register for GATE COAP 2019? Click on the direct link which is provided on this page to register for GATE COAP. Next, the candidates need to fill in details such as their GATE Registration Number, GATE Paper Code, GATE score, date of birth. Click on the “Validate” button first. After validating the data, then the candidates need to enter their email id and mobile number. Once the candidates enter these details, click on the “Submit to Register” button. After the registration is successfully done for COAP 2019, the candidates will obtain a Login ID and Password for COAP Login. The same will be sent via Email and SMS. The COAP registration will only be considered as complete only if the candidates log in using the Login ID and Password and verify the registration details. After the completion of the above-given steps, the candidate can access the information on offers made from the participating Institutes. In the end, the admission offer will be uploaded at COAP website and will be tagged with COAP registration number (same as GATE registration number without subject code). The candidates must ensure that they fulfill the eligibility criteria as mentioned below before they proceed to register for COAP 2019. Should have either qualified GATE in the year of 2019/ 2018 or 2017. Accordingly, candidates will have to upload their GATE scorecard. Ques. Is it mandatory for us to register for COAP 2019? Ans. It is compulsory for the candidates seeking admission to M.Tech programs to register at COAP. Without completing the COAP registration, you will not be able to receive and access admission offers made by the participating institutes. Ques. What do I need to register for COAP? Ans. To register for COAP, you will require a valid GATE scorecard, a valid email ID and an active mobile number. Ques. Apart from registering online, do I have to send the hard copy of the documents or COAP Registration form? Ans. No, candidates do not have to send the hard copy any of the document to the organizing institute. Ques. I am a Foreign National. Can I register for COAP with valid GATE scorecard? Ans. No, foreign national candidates do not need to register at COAP. Ques. How many offers can I select in each round? Ans. You can select maximum one offer among all the offers available in each round. You cannot select multiple offers at a time. Ques. How will I get to know about the status of any job/ offer? Ans. The status of the offer for any job/ admission will be uploaded on the official website of COAP. To check the status of the offer, you will have to log in by entering their User ID and password during the scheduled dates. If you have any confusion related to the GATE COAP 2019, do let us know in the comment section. I’m getting invalid registration data while i tried to validate my details. What is wrong with my refgistration? is it mandatory to provide all gate scorecard in coap ,if you have gate score in 2017 ,18 and also in 2019 .what should i do ?